Woooo - so this is a long one. I've created jump to links to navigate this huge article easier but if you're heading to Cartagena I suggest reading the whole thing. There are also links scattered through out (on pictures also!) that will guide you to more in-depth articles on Colombia. If you have any questions though, don't hesitate to reach out! 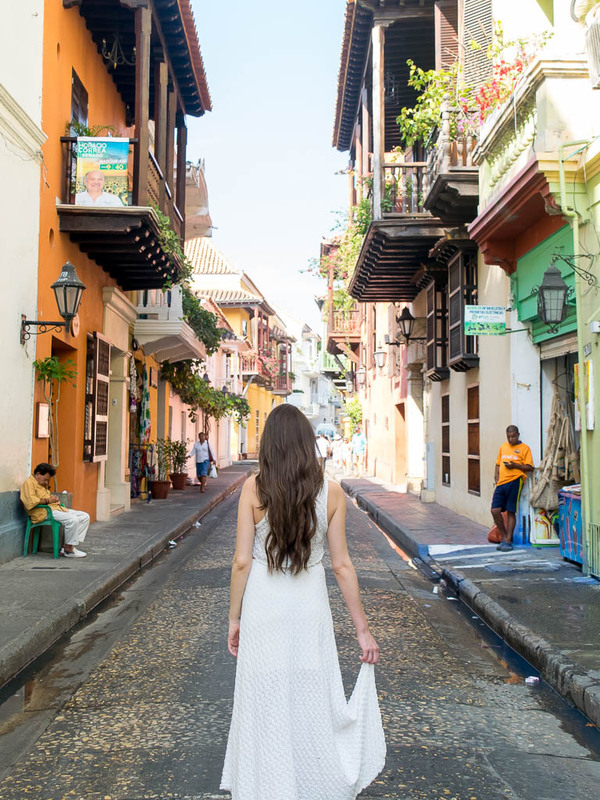 Cartagena's Old Town is a UNESCO World Heritage site – this means it's absolutely beautiful! The streets are a maze of cobbled alleys, gorgeous doorways, and balconies covered in flowers. Not to mention there are multiple old plazas each flanked by gorgeous churches. Still not sure if you want to go.... Check out 15 photos that will make you want to go to Colombia ASAP. Colombian Peso is the preferred method of payment but many places will take your credit card. Plugs are American! Plugs have two flat pins and are 100V. Cartagena has Uber - making it so convenient when you want to go anywhere. Cartagena was the first Spanish colony on the American continent. 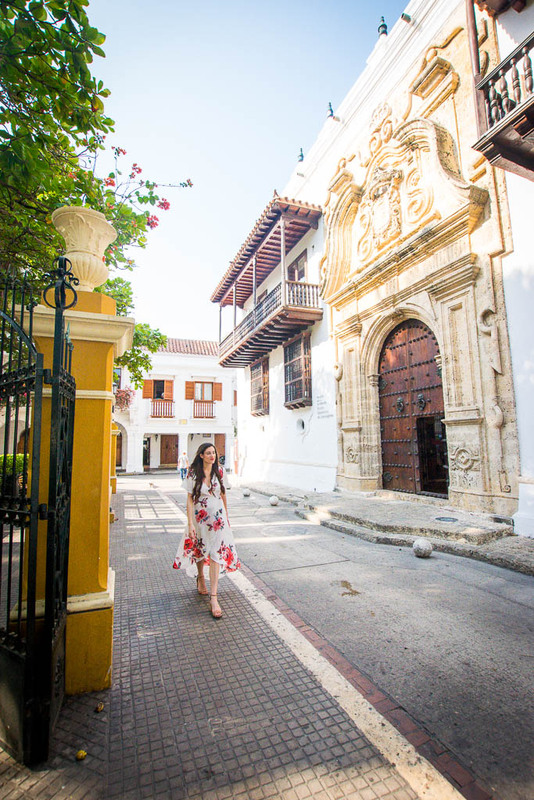 Can you do Cartagena Colombia on a budget? YES YES YES! Cartagena is completely doable on a budget!! Here is a full article that details what things cost in Colombia and Cartagena. 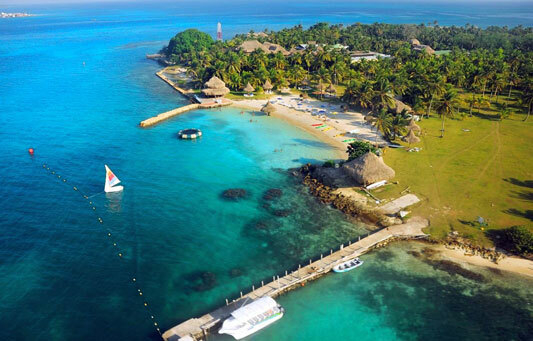 It also includes how to visit Cartagena for cheap. And where the best cheap eats are in Cartagena! Not sure what the best way to get to Colombia and specifically Cartagena is? Most people fly in but there are a couple other ways. The main airport that services Cartagena is Rafael Nuñez International Airport (Code: CTG). This is where I flew into and I found it great in the short time I was there. The airport services a nice group of American cities including Miami, Ft Lauderdale, NYC, and Atlanta. From either of these airports you can then jump on the low-cost airline VivaColombia which flies tons of direct flights to Cartagena daily. Technically it is possible but I have no first hand experience to offer you. Here is what I do know. There are several private boats that run from Colombia to Panama and back. Fare varies between US$375 and US$500 depending on the size of the boat and any on-board services. The trip typically takes 4 nights and 5 days and includes a 2 or 3-day stopover in San Blas Islands. Yes! Uber is a thing in Cartagena. I know when I was researching those words were some of the happiest things I read. It just makes everything soooo much easier, right? Uber works great in Cartagena and is super cheap to use. I used it multiple times while there and never had an issue. There are always taxis all over the street but because of Uber I didn't take any. Important to keep in mind: ALWAYS negotiate your fare before getting in the taxi. Unlike major cities, there are no taxi meters inside Cartagena taxis. A Chariot is a popular way for tourists to get to know the old town. These can be flagged down in the street or there are usually some waiting at Plaza Bolivar or close to the Santa Clara hotel. 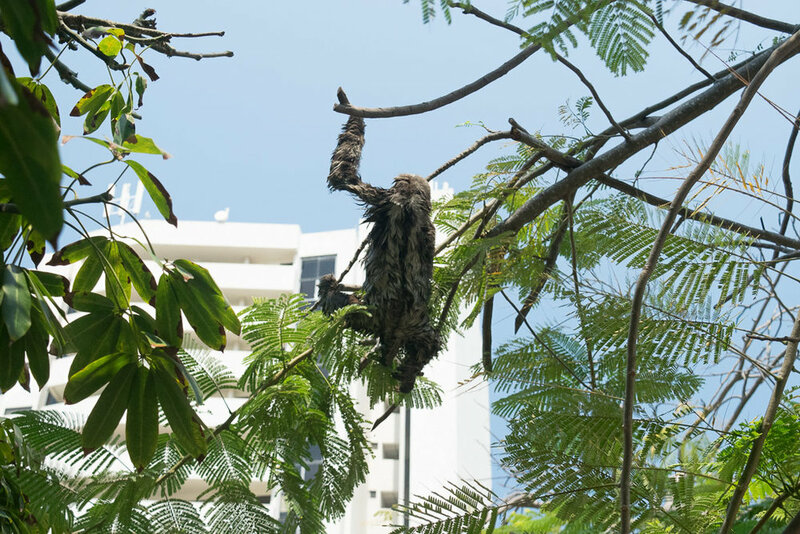 You will see them everywhere when you are in Cartagena. I never took one because I always worry about the treatment of the animals. I will mention that some of the horses looked very thin and underfed while others looked completely fine. If you are passing through Cartagena and trying to travel cheaply to other cities in Colombia you can buy tickets to a tourist bus. The most popular city to visit near Cartagena is Santa Marta. This is also the gateway to Minca and the famous Tayrona National Natural Park. Tourist buses are minivans which have AC and seat around 14-20 people. My best advice is to head to a hostel to buy tickets. Hostels are official sellers and the cheapest price around. I bought my tickets, in person the day before, from Mamallena Hostel. It was far cheaper than the exact same tickets that are available through the tour desks in old town. Check out this list for everything to do and details on each! You can't miss visiting Getsemani while in Cartagena. It seriously has the coolest street art, just check out the picture below. It is known as the hipster part of Cartagena and where all the young people hang out. 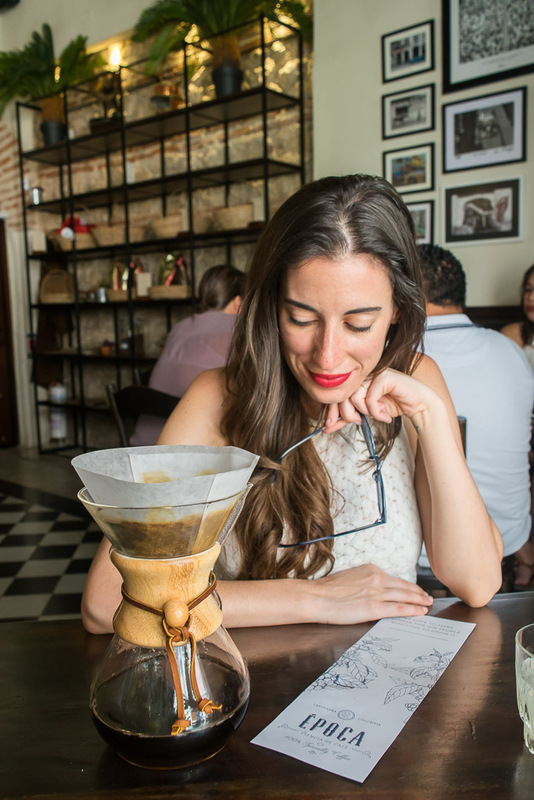 I suggest a full day there and have a full article detailing everything to do and see while in Getsemani. It also includes what the best restaurants are in Getsemani!! Heading for the ocean is super popular in hot Cartagena. There are a couple beaches to choose from so choose carefully!! Pro Tip: I suggest services like ViaHero - a company that assists your trip planning by pairing you with a local. Talking to someone who knows the area and grew up there means you will really get the most out of your experience. Check out this awesome service here. In Cartagena, there is a convenient ATM in the main square near the clock tower. Head under the walkway that houses the sweet carts and about halfway down are working ATMs. I actually stayed in an Airbnb. It was brand new and the lower floors were still under construction. The noise started every morning around 8 AM. I am a pretty early riser so it didn't bother me. There also wasn't hot water yet because of the construction. That was a little harder to handle. BUT, the place was such a bargain it was worth it. So yeah, I highly recommend this specific Airbnb or an Airbnb in general. This is the exact one Airbnb I stayed in. But, if you are looking for a hotel I totally get it. In Cartagena, I would suggest staying in the old city. I don't suggest staying in Bocagrande because it's literally just Miami in Colombia. If for some reason you really don't want to stay in the old city (seriously, why don't you) or it's completely booked then my next pick is staying in hipster Getsemani area. 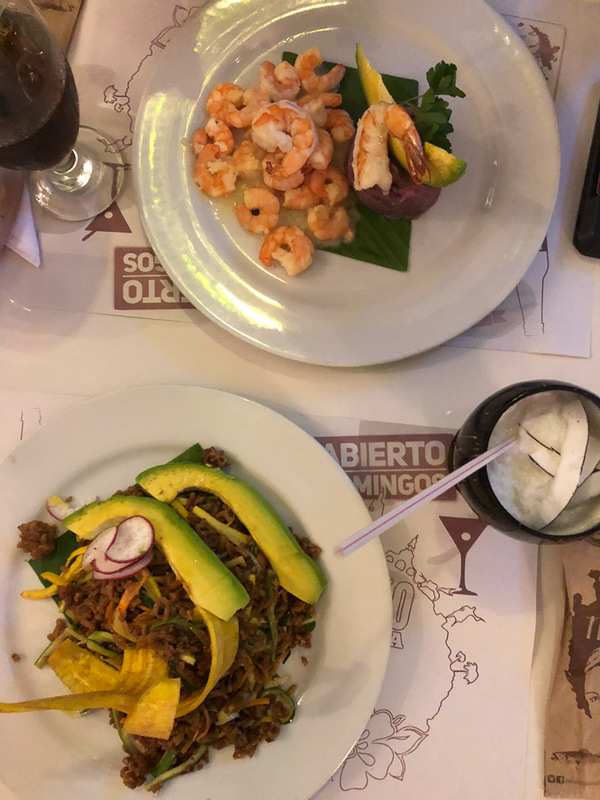 I had a lot of favorites while visiting so here is a complete list of everywhere I ate, and a couple of places I think are the best restaurants in Cartagena. There are also a ton of local foods you shouldn't miss out on, so make sure you do your research ahead of time. Movich rooftop: A weird one to add but seriously don't miss out on going here. 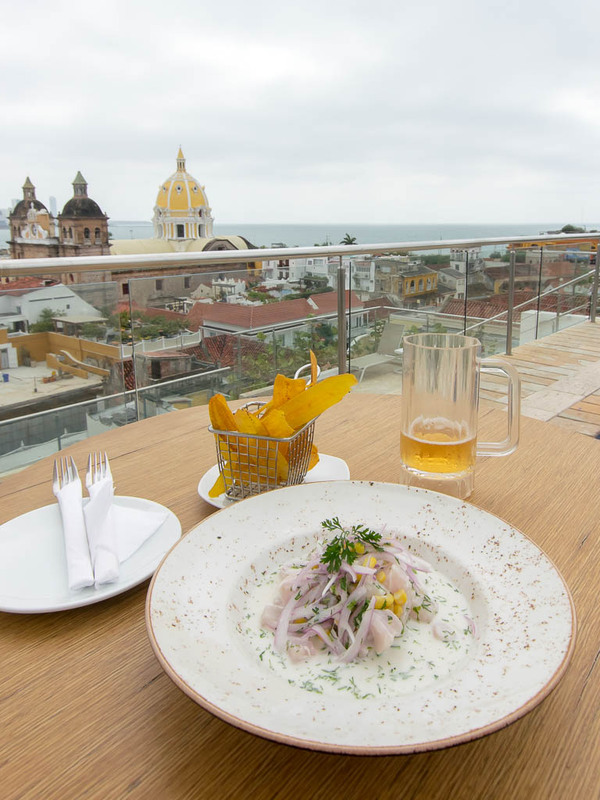 You have to be a guest to use the pool (bummer) but head to the top for drinks and ceviche that are surprisingly cheap for such a nice hotel. Epoca: Amazing coffee and food all in one place. 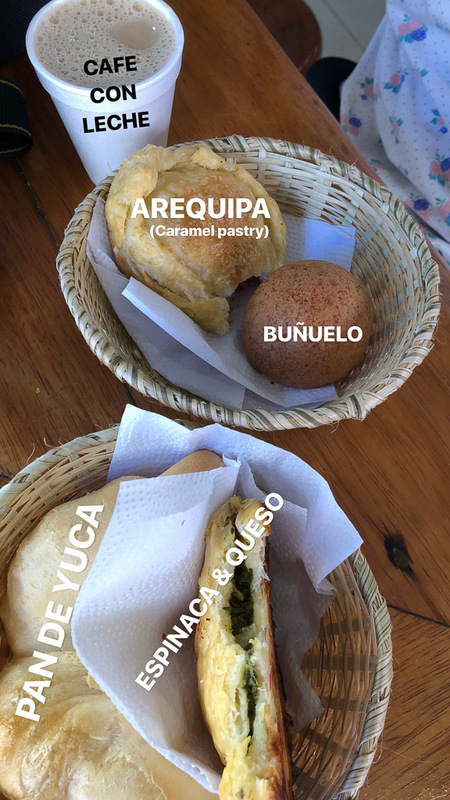 La Esquina del Pan de Bono: A great place to grab local fresh baked bread and pastries. Also super cheap! La Mulata: Probably the best place to go on your first night so you can eat traditional Colombia food. Don't miss out on the lemonade! Cafe del Mar: Even though it's crowded and touristy it's an amazing place to watch sunset. Plus, you kind of have to do the tourist thing... you are, in fact, a tourist. Planning for a trip to Colombia can be overwhelming. But, don't worry! You got this!! !